Looking for instant portable photo printer that easy to be carried while on go? Polaroid Corporation has concerned of your needs with the launch of its new palm-sized digital instant mobile photo printer, named as Polaroid PoGo, which the corporation claims as the first ZINK-enabled device available, printing 2″ x 3″ borderless color images directly from your digital cameras and mobile phones via USB cable or Bluetooth, without the need of a PC. With ZINK Zero Ink printing technology from Zink Imaging, this sleek and stylish instant mobile printer prints smudge-proof, water-resistant and tear-proof photo in about 60 seconds without a drop of ink. 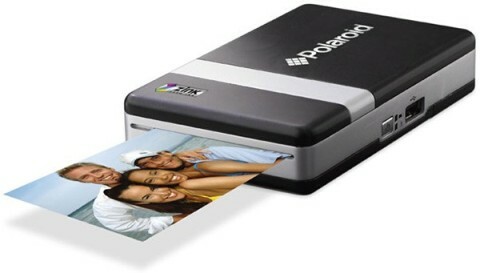 The new pocket-sized Polaroid PoGo Instant Mobile Printer that weights just eight ounces is available for $149.